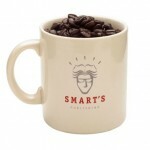 Click on the mug below to visit SmartsPro Marketing’s Promotional Products Store. When you get there, search the categories on the left or enter your own search terms. Craig Mesco, a long-time industry veteran. Gordon and Craig will find whatever specialty ad item you need, put your name on it, and get it shipped to you promptly at a competitive price. Plus, they can offer you many of the items you want in small quantities, which can be important for smaller agencies. 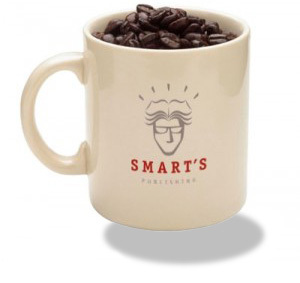 SmartsPro Marketing’s Promotional Products Store is operated by Direct Effect, Inc., an advertising specialty and promotional products business that began operations more than 40 years ago and is now part of the family of Smart’s marketing solutions for agents, brokers and insurance companies.